The last date for filing income tax return (ITR) for FY17 will end at midnight on Saturday. The government had extended the date for filing Income Tax Returns to August 05, 2017 from July 31, 2017 after looking at the difficulties faced by some taxpayers in e-filing their returns. The last date for filing income tax return (ITR) for FY17 will end at midnight on Saturday. The government had extended the date for filing Income Tax Returns to August 05, 2017 from July 31, 2017 after looking at the difficulties faced by some taxpayers in e-filing their returns. On Friday, the income tax department said its field offices will remain open till midnight on Saturday to facilitate very senior citizens and those with income below Rs 5 lakh to file tax returns for 2016-17. 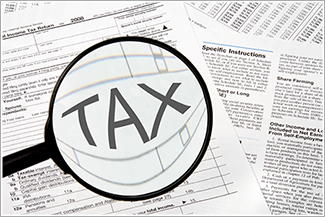 ITR can be filed online in two ways. Note: Another method is applicable for ITR 1 and ITR 4 forms only.